Genuine. This would be the word best fitting to describe The Mylon Hayes Family. With their close family harmony and friendly, modest manner, they never cease to disappoint on the stage and off. 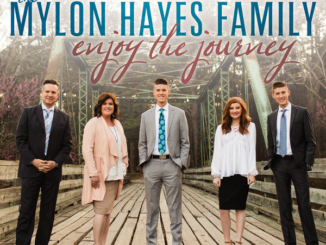 I recently had the opportunity to interview Conner Hayes, the bass singer of The Mylon Hayes Family. Prior to this, I had the chance to converse with him and his siblings at the North Georgia School of Gospel Music and get to know them a little better. As a third generation singer in his family, it is quite obvious with his amazing piano playing and singing skills that the music gene did not skip his generation, but piano playing and singing are not his only passions. He also enjoys playing the drums and baseball. 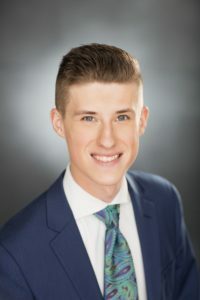 At 19 years of age, Conner Hayes has already made a huge impact for the Lord through Southern Gospel Music, and I am sure there is much more to anticipate in the future. SC: If you could have a skill/voice of anyone else in gospel music, whose would you choose? CH: I would definitely want to play the piano like Stan Whitmire. I’ve always admired him and his talents! SC: What was your most embarrassing moment on stage? SC: What do you enjoy doing when you’re not on the road singing? CH: Every summer we get to play in a church softball league with our uncle’s church. I’ve always loved playing baseball, so that helps to scratch that itch. Ha ha! SC:What is playing in your CD player/phone right now? SC: What is the best and worst part about having a twin? CH: The best part would definitely be having a built-in best friend! To be honest, I’m not sure there is a “worst part” of having a twin. Lol! SC: What is the most rewarding part about singing gospel music? CH: Not too long ago, we saw a 76-year-old man accept Jesus as his Savior at one of our concerts! That makes all the hard work, the long nights, and early mornings, etc… worth it all! SC: How old were you when you first started singing and playing piano, and do you plan on continuing this in the future? CH: I was four years old when I started learning to play the piano. Although I’m still learning, I definitely want to keep on playing and hopefully incorporate it more and more when we do our concerts! SC: Tell us something unique about yourself that not very many people know. CH: I love to play the drums! I don’t get to do it very often, but I always enjoy it when I get the chance! SC: Looking back at your life, what advice would you give to the younger generation? CH: I would definitely tell them to memorize as much Scripture as they possibly can! So many times I’ve gone through situations and certain verses come to mind that encourage me when I need it most! SC: A Favorite gospel group. 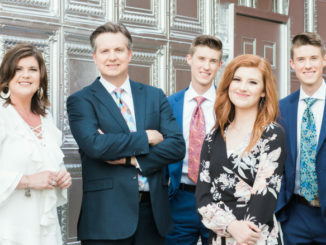 CH: It’s hard to pick just one, but The Collingsworth Family are one of my favorites! SC: Favorite location to travel to. CH: I love to vacation at the beach! It’s been our family’s annual tradition for as long as I can remember.